Your smile is usually the first thing people notice about you, and it can communicate a range of emotions, from confidence and happiness to doubt and self-consciousness. If yellowed, cracked, uneven teeth are stopping you from interacting with others, seeking professional opportunities or simply smiling, a smile makeover may just be the perfect solution. As a seasoned cosmetic dentist, Dr. Robert Milner has helped hundreds of Mission Viejo patients regain their confidence by having a smile makeover. Much like every patient, each smile makeover is unique. If you wish to enhance your smile, Dr. Milner will design a treatment plan to help you restore your smile to its most radiant state. To schedule a smile makeover consultation, please call Dr. Milner’s Mission Viejo office at 949-859-8899. Smile makeover is a multi-step dental treatment that treats two or more cosmetic dental concerns. Often confused with full mouth reconstruction, smile makeover is an elective procedure performed solely for cosmetic purposes. During your initial consultation, Dr. Milner will thoroughly examine your teeth, gums and facial features. He will also discuss with you your areas of concern about your smile, whether it be chips, gaps or crooked teeth. Our expert cosmetic dentist will then use this information to design a treatment plan that best achieves your dream smile. 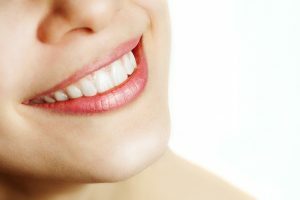 What Does Smile Makeover Typically Include? Once your treatment is complete, proper oral hygiene and maintenance are essential in preserving your brighter smile. Professional cleanings with our hygienists at least every six months can keep your new pearly whites both beautiful and healthy for years to come. The results of a smile makeover can be life changing. A straighter, more attractive smile has the ability to enhance your entire facial appearance. The physical changes brought on by your smile makeover will only make you more inclined to smile, which in turn, may open the door to personal and professional opportunities. To learn more smile makeover, contact the dental practice of Dr. Milner. Please schedule a personal appointment by calling 949-859-8899 today.